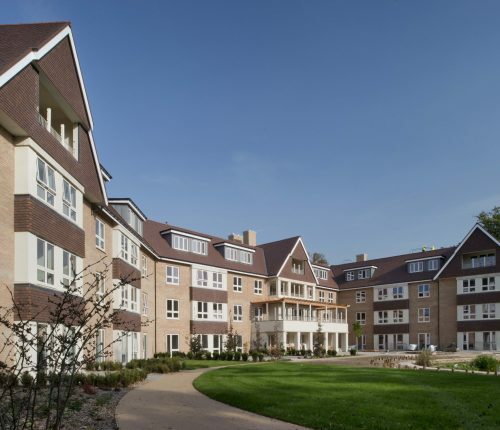 This project comprises the design and construction of a 95 bed Care Home on the site of Parklands, a former 1980’s office complex located in Chertsey in the Runnymede Borough of Surrey. The design of the facility is reminiscent of a late 19th Century country house with lots of arts and crafts style architectural detailing. A palette of materials was used with facing brickwork and reconstituted stone mullions and areas of painted render and tile hangings. The sloping site has allowed for inclusion of a basement which houses plant and ancillary staff accommodation. The development is 3 ½ storeys high with a roof designed to contain a third floor utilising projecting dormers which provide a very varied roofscape. The site sits within the Thames Basin Heather Special Protection Area [TBHSPA] in the Green Belt and contained a number of mature trees protected by TPOs. Careful environmental protection measures were required to ensure no damage was caused during our construction activities. Communal facilities are grouped towards the centre of the cranked floor layout, “double banked” with suited accommodation in clusters on either side of a central corridor. 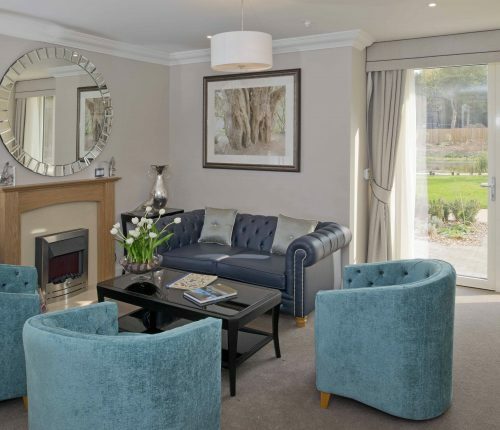 The whole building is set within extensively landscaped grounds with a large feature pond. 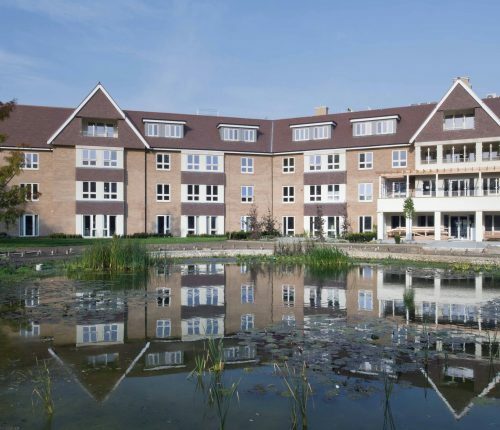 Communal spaces are designed to overlook both the main entrance to the north and gardens and the pond to the south providing a secure area and amenity space for residents. 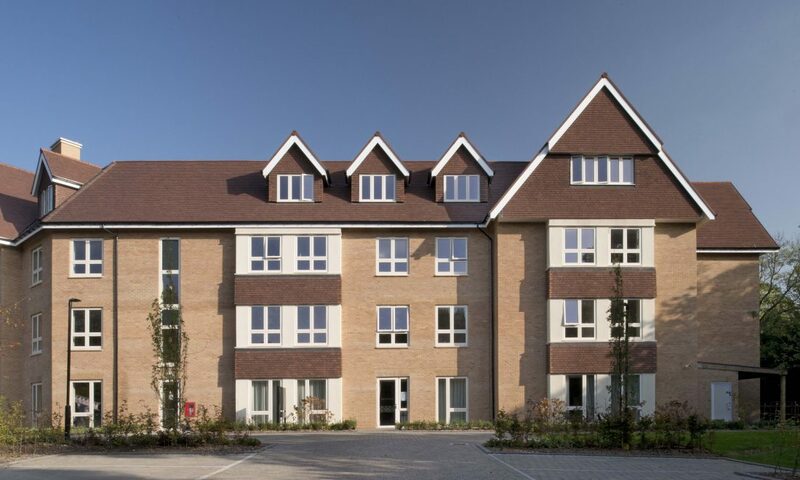 The project commenced on site March 2016 and was completed ahead of schedule, with Parklands Manor Care Home opening in January 2018.